Explaining the reality of working at camp in writing is challenging- almost as challenging as the job itself. Many people discredit the work involved in working at camp. Many also discredit the impact camp experience can have on the lives of the camp staff, as well as theimpact the camp staff have on the lives of campers and CITs. It is rare to find a job opportunity that provides real world leadership opportunities, paired with being a caretaker, a motivator, and a magic maker. Fernwood Cove staff are these things, and so much more. Fernwood Cove staff are ensured to be challenged. The Fernwood Cove experience is packed with excitement, adventures, and lots of fun along the way. Days begin early and continue rain or shine- staff must be ready for whatever Mother Nature brings, and in Maine that can change at a moment’s notice. 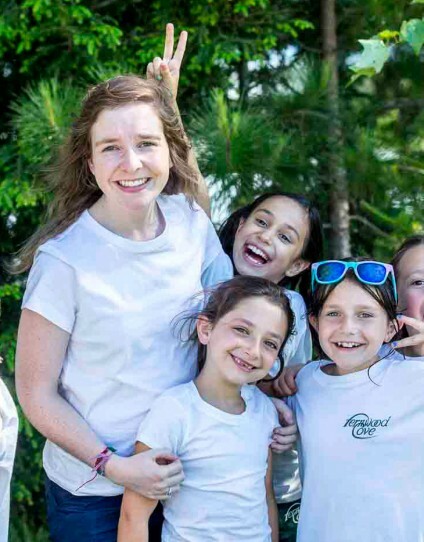 While the job of a camp counselor can be mentally and physically taxing, the supportive environment ensures everyone has they help they need, when they need it.